I’ve been inspired to write this article to assist in the awakening of Starseeds, who are waking up in unprecedented numbers now more than ever before. As a Starseed myself, I’ve discovered both personally and with my Starseed clients, that a profound and deep healing occurs when we become aware of our origins. Once a Starseed awakening is activated, everything begins making sense and taking shape. We start seeing through the illusions around us and begin our journey toward our highest mission and often at an intense and rapid pace. As a Starseed, we’ve come from a planetary system that operates within the higher realms of the 5D and above. We’ve come from a place of pure love and unity consciousness where we are ‘one’ with all that is. Interestingly, in my experience of working with Starseeds, even when they carry the deepest of trauma, their ability to love others and their desire to make the world a better place remains at their core, coming to the fore and strengthening as they heal and align with their true Starseed essence. Those of us who chose to incarnate here on Earth did so with the full understanding that we’d need to have our high vibration shattered, lowering it to align with the 3D of Earth. The shattering would have to be sufficiently shocking to cause a disbelief and distrust in our own divinity and the divinity and goodness of others. The shattering will occur in our first lifetimes here and often involves horrific violence and abuse. The earlier Starseeds endured brutal acts such as crucifixion, being burnt at the stake and torture. In more recent times violence and abuse remain very familiar to Starseeds but come in forms more current with the times. Many of the Starseeds here now have endured deep family trauma including narcissistic abuse which usually continues playing out in adulthood until the Starseed begins their healing and ascension journey. You may be wondering why one would ‘volunteer’ for such a role given the conditions we agree to. There are several aspects to our Starseed mission. The first is to experience duality and complete separation from wholeness and love. Then at an appointed time, which is now for many, Starseeds would begin their healing journey back to wholeness, ascending to the high vibrational frequency they were before embarking on this mission, prior returning to their home planet. Intricately entwined within our primary mission are two other purposes. The first is to create significant change on Earth by dissolving the old, controlling and limiting systems, thinking and ways of Being. This is why we’re naturally visionary and adverse to blindly following rules and authority. We’re here to usher in the ‘New Earth’ and implement higher vibrational ways of Being that unify and align with the Divine Truth of who we all are. Our other purpose relates to helping Gaia herself ascend in to the 4D and later the 5D by lifting the vibration and consciousness of ourselves and the collective consciousness. 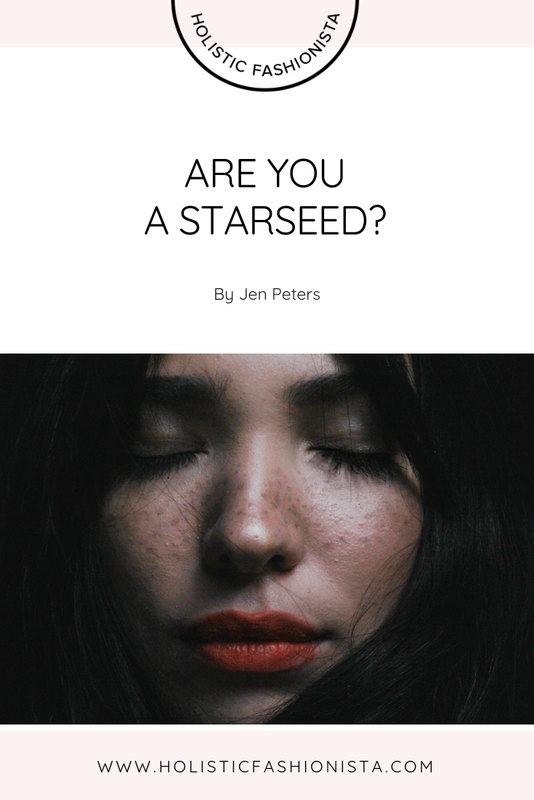 Many Starseeds are powerful alchemists, turning negative into positive – dark into light. In healing ourselves back to wholeness, Starseeds are also helping to heal and alchemize ancestral family trauma, as well as lifting the vibration of those around them. This is largely why so many Starseeds incarnate into families or culture that are dark and carry deep ancestral trauma, often resulting in significant abuse to the Starseed. And I believe this is also why Starseeds who incarnate into such abuse also have an incredible inner strength and courage that is rare amongst the wider population of Earthseeds. I’m observing subtle differences in each new generation of Starseed coming through too. Certainly not as a rule, but the newer, younger generations of Starseed are often incarnating into spiritual families so are not always subject to the same level of abuse as the earlier generations of Starseed. However, they tend to be more sensitive to the darker, heavier energies here including foods than their older sisters and brothers who incarnated into more hostile environments therefore bringing with them the qualities they would need to withstand the hostility. Regardless of the circumstances or timing of incarnating as a Starseed, just know that you are well equipped with whatever gifts and qualities you need to fulfill your mission. Starseeds share many commonalities, although the descriptions below are only a small selection of typical characteristics. As a Starseed you may have noticed a quiet sense of ’aloneness’ that echoes deeply within and a feeling of never quite fitting in or of being somehow different to others. A sense of ‘not belonging’ is very common too and a longing to find ‘your tribe or people’. Perhaps you’re highly sensitive or an empath and able to pick up on other peoples’ thoughts and feelings. Crowded or chaotic places can be extremely overwhelming and drain your energy. You’re able to naturally ‘read people’ and situations and have a strong ‘knowing’ about things without being told. You’ll have highly developed intuition and are likely to be very solutions focused, visionary and futuristic in your thinking. You have a powerful knowing deep within that you’re here to do something big – but you don’t quite know what it is. And you’re an incredibly deep thinker, and dive to depths that most people simply can’t relate to. There’s a high likelihood that you’ve been born into a family where you have suffered deep trauma. And you’ll often be drawn to spiritualism and being of Service or wanting to make the world a better place. I have the privilege of partnering with many Starseeds from all over the world who have been narcissistically abused often as children and then in their adult relationships. I specialize in empowering them to connect with their own souls’ wisdom and guiding them out of toxic or narcissistic relationship cycles and into healthy relationships and the Divine Truth of who they are so that they can fulfill their Starseed mission. And I see within each of them an incredible courage and an ability to transcend anything in their way. They have an ability to fully transform themselves even after enduring the most traumatic and devastating experiences. With the right guidance and support, Starseeds are able to cleanse and alchemize their trauma and fulfill their predestined roles with ease. This will usually involve being of Service in some way and making the world a better place. Once a Starseed has ascended back up to their original high vibrational frequency and fully aligned with their true divine nature, radiant Beings of the Light, they’ll have the option of returning to their home planet amongst the stars.